Visit Dinnington South Yorkshire and the surrounding villages and stay in bandb, hotel or holiday apartment accommodation provided by BedPosts members. The South Yorkshire town od Dinnington lies between Sheffield and Rotherham. Worksop is 5 miles distant. It's been inhabited since the New Stone Age 500 years ago. The population growth to 12,000 is attributed to the foundation of a coal mining colliery, now closed. 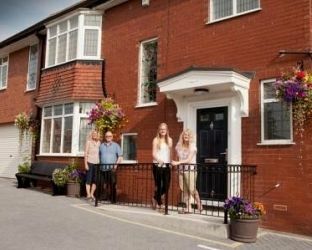 If you seek accommodation near Dinnington in South Yorkshire you have come to the website of a “club” of providers who offer affordable quality accommodation around UK in hotels, bed and breakfasts, guesthouses, inns, and restaurants plus self-catering cottages and apartments .